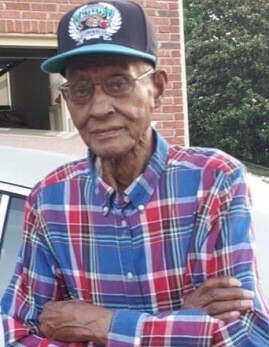 Moses Puckett, 95, of Hickory Valley passed away on Sunday September 9, 2018 at Jackson Madison County General Hospital. He was born on June 23, 1923 to Jim Puckett and Fannie Polk and was the fifth of twelve children. His funeral service was held on Saturday September 15, 2018 at 12:00 noon at Mt. Salem MBC-Hickory Valley with Evangelist James Puckett in charge. Burial was in the church cemetery and Dixie Funeral Home www.dixiefuneralhome.com was in charge of the professional service. He gave his life to Jesus Christ at a young age and joined Jones Grove MBC. He later joined Mt. Salem where he remained until his death. He served the church in many capacities including usher, custodian, security and parking attendant. He was educated in the Hardeman County public schools. In 1949 he married the late Liddie Lee Johnson Phinnessee and they were married over forty seven years until her death. He was a skilled automobile mechanic and enjoyed working on them. He was employed with Nelms Chevrolet in Bolivar for about forty-five years when he retired. He leaves to cherish his memory children, Bessie (James) Bufford, Christine (Michael) Hart, James Edward (Brenda) and Carolyn Marie Jestice; two sisters, Dorothy Bills and Mable Barnett; grandchildren, great-grandchildren and many other relatives and friends that will miss him.